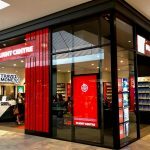 Trading for the last 11 years by this current owner, this shop fit out company specialises within a few, highly profitable market segments, nationally. This owner chooses to invest part-time hours, per week, as can rely upon a team of trusted management, and trade qualified/well trained staff, in both factory and in the field, nationally. This business model is one of the best you’ll see in a very long time. Not only is it highly profitable, offering a very high return on your investment, it has the majority of its sales being generated by high net worth, and high growth corporate clients (both national and international brands). This business is preferred supplier to its many loyal and existing client’s, having been so for the last 10 years. There literally being more client jobs on offer than this owner wishes to say yes to. Being ready to transfer for change sake, after a decade. These large and notary clients are high repeat clients, having an appetite for national growth. 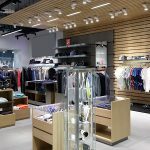 The services offered by this brand; new shop fit outs, de fits, fit out refurbishments at the end of leases, on-going shop fit out maintenance etc. Not even required to advertise or market this business for the last decade, all the business simply comes to this business, by default. Each client entering into a contract, per job. Clients include corporate owned, multi-store chains, franchises, national/international brands, within several industry segments. This business has become a specialist within these distinct client sectors’, therefore repeat work has been assured, over the long term. Making this an opportune “bolt-on” for any existing shop fit out company. It is hard to explain, that there is just so much more work that this business could take on. But, this owner is not interested in further sales growth. This being ready for a new owner or industry business to capitalise, instantly. This owner simply chooses to oversee this operation, and its team (financial management tasks mainly). This investment offers a greater commercial security than most, a high volume of on-going jobs to profit from, and a highly sought-after brand, (among the big names). Well established this brand is, being extremely renowned nationally, within these industry sectors, and is also often referred. 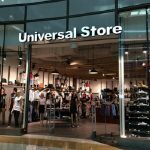 Used even ‘cultishly’ by those in the know, who require continual support for all their branded store changes, new store openings, and end of lease store upgrades, maintenance etc. The cashflow of this business is highly supportive. Just wait until you see how high this net income is, and how little this owner actually does to make this large amount of money per annum. A very high return on investment, due to having a genuine owner wishing to transfer after 11 years.